Keep intruders out and your assets secure with commercial grade burglar alarm systems. 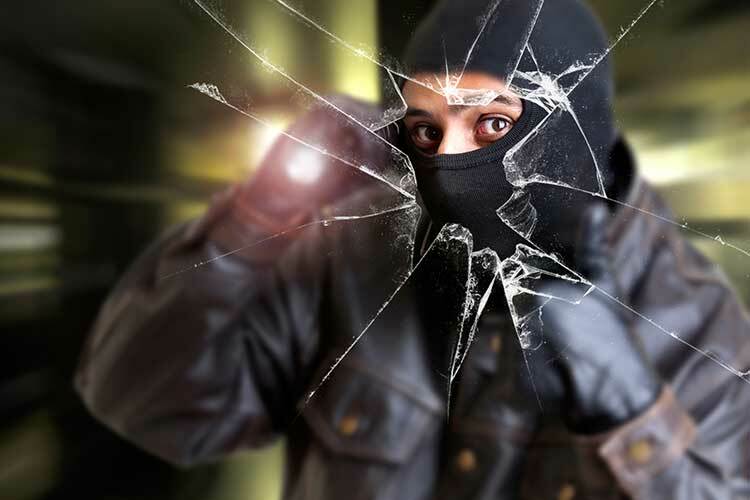 Damage done by intruders and burglars can cost businesses precious time, capital and worse - the lives of your staff. An intrusion detection system from Guardian Security not only detects these incidents it also discourages would be thieves who may be staking out your property. Guardian specializes in custom burglar alarm systems to meet the unique needs of your small business or large enterprise. We'll analyze your property on site, then build a custom system tailored just for your company. Because we're skilled in all types of life and property protection systems, we can design integrated systems that combine your intrusion detection system with fire alarm systems, video security and access control systems in a single command and control center. Our integrated systems provide a greater degree of protection and alarm verification. Video surveillance cameras, powered by closed circuit television (CCTV), are the best way to monitor entryways, deter criminals, and review criminal activity when it occurs. Our engineers, designers, project managers and certified installation technicians have a wealth of experience in delivering fire detection and alarm systems for all types of buildings, businesses and needs. Only approved users (employees, trusted vendors, etc.) can scan their official credentials at a digital access device attached to the entryway – and you can rest assured that only authorized occupants are in the building. Guardian Security is Washington’s leader in commercial security solutions. Established in 1976, Guardian specializes in comprehensive security, fire and life safety systems for installations ranging from major retail centers, to government buildings and multi site enterprises. Based in Seattle with service centers across the state, Guardian is a locally-owned and operated company with a strong commitment to the people and communities we serve. Established in 1976, Guardian specializes in comprehensive security, fire and life safety systems for installations ranging from single-family homes to major retail centers.